Let us manage your website maintenance so you can manage your business. PEAK Website Maintenance is our flat-rate, on-going monthly security maintenance service only available for new or upgraded Joomla! websites with PEAK Website Security initial set-up, or for existing websites after completing our PEAK Security Audit and repair has cleaned it up. You’re safe now - stay that way! Immediately install software updates for both Joomla! CMS and all your installed extensions as soon as they are released. Your website will always be up-to-date, eliminating vulnerabilities and reducing the possibility of attack from hackers. More than any other reason, websites get hacked because the software running them is out-of-date. To keep your website safe it’s crucial to keep software up-to-date with the most current released versions. Nearly every version of Joomla! includes fixes for security issues. Extension updates are even more important. There are more attempts to attack security issues on extensions than attacks on Joomla’s core files. And the risk is higher for old versions once a new version fix is released. When security risks are discovered and the developer releases an update patch to fix it, the vulnerability is publicly acknowledged, so it’s not difficult for hackers to become aware of them and quickly begin to search for those who failed to update. Routinely check if any of your installed extensions are listed as vulnerable. Repair or replace any vulnerable extensions as required. Scan for malware, hacked files, unexpectedly altered or added code, check blacklists. Fix any issues found. We use Uptime Robot to check your website every 5 minutes. If it can’t connect to your site, it sends us an email so we know to immediately check it out and figure out why. or on existing websites PEAK Security Audit and needed corrections completed. when paid by monthly invoice. Cancel anytime. discount with auto-pay monthly subscription charged to your credit card. Cancel anytime. Perfect for websites that change frequently, e-commerce websites, membership websites, and forums. Provides the highest level of protection, support and maintenance. * PEAK Joomla! Website Maintenance service covers Joomla! CMS updates within the existing major version (for example, within Joomla! 3.x series). 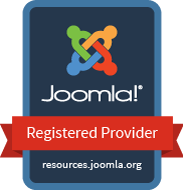 Major version upgrades (3.x to 4.x) are more involved and require the PEAK Joomla! Migration service. Premium Plan Only: If your website is hacked while being managed under Sparks Arts’ Premium Website Maintenance plan we will clean and restore your website, conduct a new security audit and fix any vulnerabilities discovered at no charge.